If dinosaurs were really this adorable, it's a darn shame they're extinct! 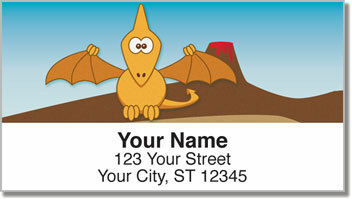 Thankfully, cute, cartoon prehistoric pals still exist on these return address labels. It's a fun way to mark your mail with something that gives letters and packages a little personality. We'll probably never know what it was really like to live in the Jurassic time period. So maybe...just maybe, there's a chance that these massive beasts were friendly and not fierce. 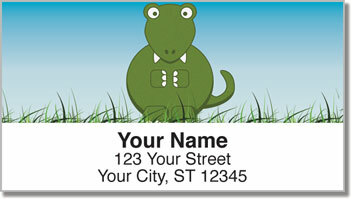 These self-adhesive labels will be your best friend when it comes time to fill out all those envelopes. 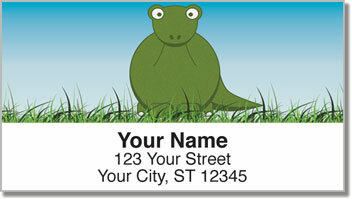 Instead of painstakingly printing your name and address over and over again - you just peel and place! 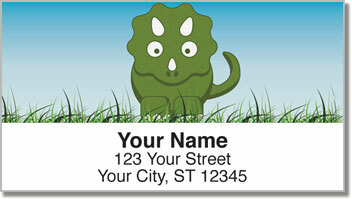 Order your own Cute Dino Address Labels right now! Get them with a set of matching personal checks.